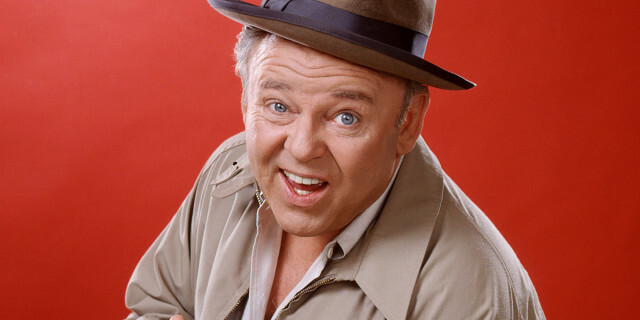 Along with many other Americans, upon the recent death of actor Carroll O’Connor, I reflected on his most memorable role —Archie Bunker in the All in the Family television comedy series. In this piece, I share some of my thoughts with respect to Archie and race. My sentiments about Archie evolved over time. 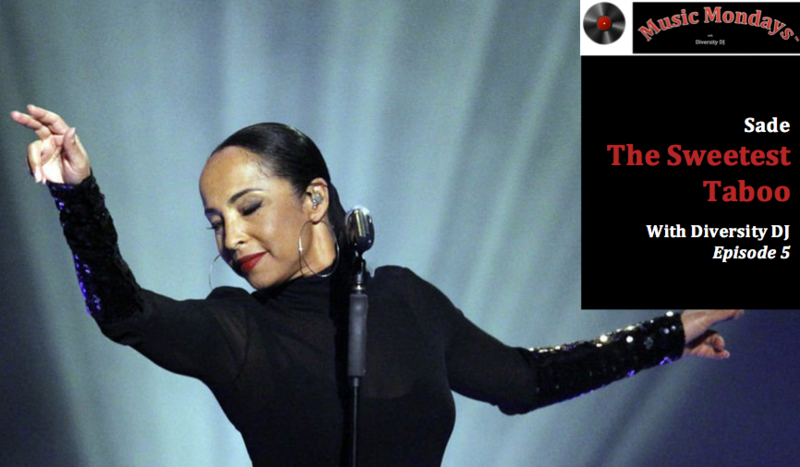 When I first learned of the concept for this situation comedy, I agreed with observers who opined that it would trivialize the serious topic of racial prejudice and set back recently gained progress in the area of race relations. My initial viewing of the show affirmed my concerns. For starters, the open expressions of prejudice angered and dismayed me. The idea that someone could build a “comedy” around behaviors and beliefs that had harmed so many was appalling. As the show matured, my anger evolved into a simmering resentment about the exploitation of such a serious issue. Yet, strangely, I continued to watch. In spite of my initial anger and resentment, I eventually found myself viewing the show with almost no feelings. I simply watched as if I was an “objective” observer accepting what for many was an accurate portrayal of the American scene. My appreciation for Archie has grown over the last few years, as I have continued to explore the nature of diversity and have gained — in my view — an enhanced understanding of Archie’s dynamics. At a very fundamental level, Archie was a bigot. No doubt about it. But he was a different type of bigot. He did not emit the malice and hatred that I had come to associate with bigotry. Archie appeared to be a “benign” bigot who intended no harm to anyone. Perhaps Archie’s bigotry came across as less harmful because it was not confined to race alone, but ran the gamut of the human experience. This state of being “diversity challenged” can exist independently of bigotry. One can be a bigot and not be “diversity challenged,” and one can be free of prejudice and still be “diversity challenged.” This offers one explanation as to why Archie’s prejudicial behavior projected little hatred or malice. His behavior was not driven by hate, but rather from the frustration of an inability to effectively address a growing number of diversity concerns. Archie: Why are you bringing me my beer in a glass? You lose so much to the air. Edith: Archie, I thought it would be a nice change. Archie: Well, remember this! I don’t like change! This dislike for change came through loudly and clearly. 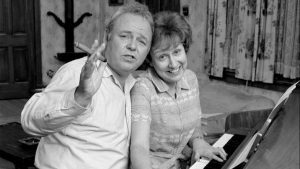 “Those Were the Days” served as the comedy’s introductory theme music. Everyday, Archie came home at six, expecting his dinner on the table and nobody in his easy chair. In one episode, his daughter Gloria declared, “Daddy, I don’t want to end up like you and Mom. You do the same thing everyday!” But this predictability and lack of change constituted Archie’s very essence. Norman Lear, the creator of All in the Family, once commented, “Many found Archie to be a despicable character. I did not. I saw him simply as a man struggling to deal with change.” In this context and in a time of rapid change, Archie’s prejudicial expressions conveyed little hate, because they were really cries for help from a proud and confused man. 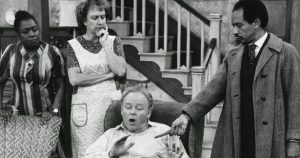 So, what lessons can we learn from Archie Bunker in terms of race and racism? Certainly, the elimination or containment of prejudice alone will not be sufficient to bring substantial, sustainable progress in race relations. Archie’s problems with race grew out of his prejudices, his inability to deal with diversity in general, and his struggles in general with change. In other words, racism was not the only causal factor. improved ability to accept and implement change. A most sobering and disturbing reality is that our society and corporate America have for the last forty years or so focused primarily only on the first level. We still have a long way to go. In this context of multiple causes, we must exercise care in diagnosing and interpreting racial incidents. For example, in analyzing corporate racial conflicts, care must be taken to determine the principal cause of the dynamics, such as racism itself, inadequate diversity management, and/or an inability to deal with change. Effective remedies require accurate diagnosis. To say that more than bigotry can undergird poor race relations does not minimize prejudices or the need to contain them. The point is that other dynamics can be in play. The notion of multiple causation has helped me understand why I was laughing at Archie. I laughed not at his bigotry, but rather at that part of him struggling with diversity and change. In my view, many of us share with Archie these diversity and change struggles independent of any prejudices we may have. Finally, obsession with racism can blind us to other situational dynamics. 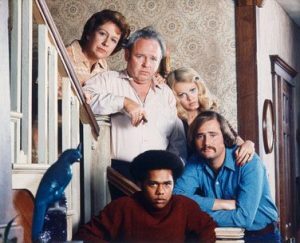 Over the years, I have read much commentary about All in the Family, but I have never seen it discussed from the perspective of dealing with change, or even from the perspective of Archie’s struggles. Instead, the focus has centered on his bigotry. The lessons above suggest that improving race relations is much more complex than we earlier assumed. Continual progress will require that we broaden our perspective about the multifaceted and often emotionally provocative issues concerning race, diversity, and change. First published in Profiles in Diversity Journal, Vol. 3, No. 2, Summer 2001. If you would like to learn more about this or other diversity management topics, please contact us at info@sdms360.com or call at 404.594.3399. About Dr. R. Roosevelt Thomas, Jr.
Dr. Thomas was the originator and developer of Diversity Management. Hailed as the “The Father of Diversity Management,” Dr. Thomas defined diversity as “any collective mixture characterized by differences, similarities, and their related tensions and complexities.” Dr. Thomas’ classic and pioneering framework, the Strategic Diversity Management Process™ (SDMP), continues to impact thousands through skills-based training, professional consulting, eLearning, and measurement tools.